Chicago P.D. 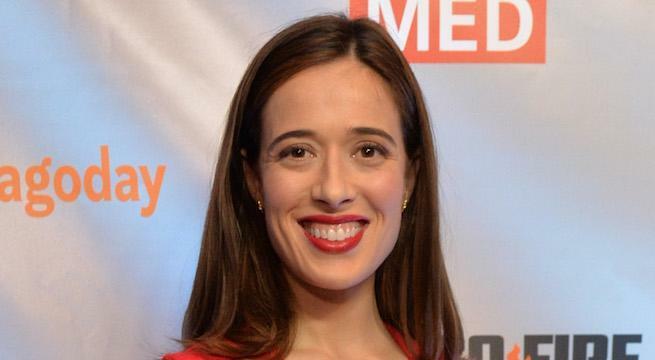 actress Marina Squerciati claims that she is the child of the late John R. Jakobson, a wealthy financier, and wants to be included in his estate, according to the New York Post. The 37-year-old claims that Jakobson, who died in 2017 and was worth $100 million, promised that he would leave money for her in his will, which makes no mention of Squerciati. Instead, Jaksobson's estate plans included money for his first and second wives, his three surviving children and his stepdaughter through his second wife, socialist and etiquette author Joan Jakobson. Jakobson's son Nicholas' lawyers told the Post that Squerciati's request to benefit from Jakobson's estate "amounts to nothing more than an avaricious attempt to enforce an alleged, vague oral promise made to [her] mother, rather than to herself, and which resulted in no legally recognizable injury to her." The lawyers reportedly offered her $50,000, arguing that she had "ample opportunity as an adult" to make sure that Jakobson included her in his will. However, Squerciati said that she lost the chance to bond with Jakobson and was denied "any relationship whatsoever with her half-siblings" when he promised her part of his inheritance if she kept quiet about the matter, according to documents filed in Manhattan Surrogate's Court. But Nicholas Jakobson's lawyers argue that keeping the secret may have been something she wanted. "She may have wished to avoid the opprobrium, which, although unfair and unjustified, is often cast upon nonmarital children," the lawyers said. "As a successful actor, [she] may have been especially sensitive to this given her public persona and position in popular culture." The New York Post reports that court papers show that Jakobson gave Squerciati's mother, Marie, $1,200 per month for two decades. He also allegedly paid $175,000 so that Squerciati could attend the Dalton School and $131,000 so that she could attend Northwestern University. Jakobson's first marriage to Barbara Jakobson ended in divorce in the 1970s. One of their three children, Maggie Wheeler, played Janice on Friends, becoming famous for her "Oh! My! Gawd!" line. Jakobson and Barbara's son died, according to his obituary. He then allegedly had affairs with Bess Myerson, a former Miss America, and Marie Squerciati before marrying Joan Jakobson in 1983. Jakobson and Joan had son Nicholas together, and Joan had a daughter from a previous relationship. Joan told the New York Post that she was not aware Squerciati was claiming to be one of Jakobson's children.